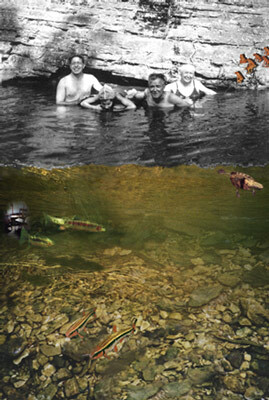 After I had been doing creek bed paintings for a while, I found an old photo of my family and myself in the creek. I was floating on an inner tube looking down in the creek. This digital work is a connection to the painted creek beds.